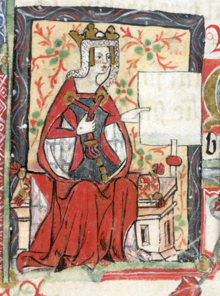 Matilda I of Boulogne was Queen of England as the wife of King Stephen, whom she supported in his struggle for the English throne against their cousin Empress Matilda. 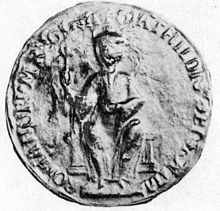 During this period, Matilda played an unusually active role for a woman of the period when her husband was captured, and proved herself an effective general who managed to force their cousin to release him. Under the agreement that settled the civil war, her children did not inherit the throne. 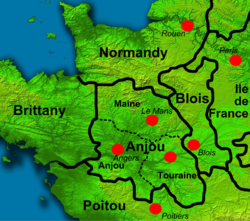 She was also Countess of Boulogne in her own right from 1125 until her death, when she was succeeded by her son, Eustace IV. 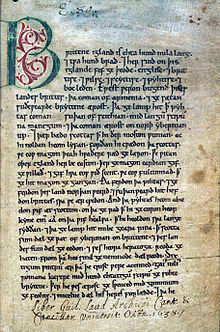 Alexander of Lincoln was a medieval English Bishop of Lincoln, a member of an important administrative and ecclesiastical family. 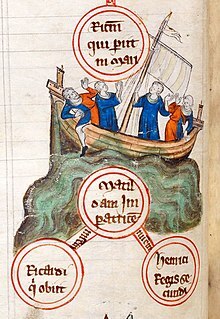 He was the nephew of Roger of Salisbury, a Bishop of Salisbury and Chancellor of England under King Henry I, and he was also related to Nigel, Bishop of Ely. Educated at Laon, Alexander served in his uncle's diocese as an archdeacon in the early 1120s. 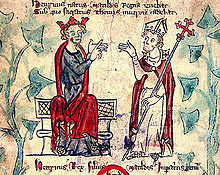 Unlike his relatives, he held no office in the government before his appointment as Bishop of Lincoln in 1123. 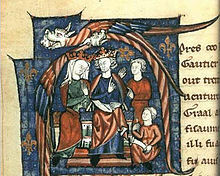 Alexander became a frequent visitor to King Henry's court after his elevation to the episcopate, often witnessing royal documents, and he served as a royal justice in Lincolnshire. Aubrey de Vere, 1st Earl of Oxford was a noble involved in the succession conflict between King Stephen and Empress Matilda in the mid-twelfth century. 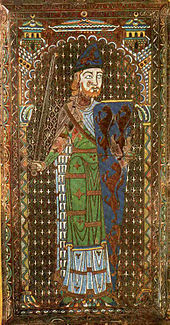 William de Chesney was an Anglo-Norman magnate during the reign of King Stephen of England and King Henry II of England. Chesney was part of a large family; one of his brothers became Bishop of Lincoln and another Abbot of Evesham Abbey. Stephen may have named him Sheriff of Oxfordshire. Besides his administrative offices, Chesney controlled a number of royal castles, and served Stephen during some of the king's English military campaigns. Chesney's heir was his niece, Matilda, who married Henry fitzGerold. 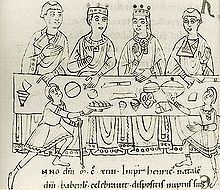 Gilbert de Lacy was a medieval Anglo-Norman baron in England, the grandson of Walter de Lacy who died in 1085. 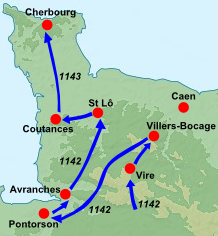 Gilbert's father forfeited his English lands in 1096, and Gilbert initially only inherited the lands in Normandy. 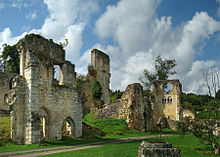 The younger de Lacy spent much of his life trying to recover his father's English lands, and eventually succeeded. 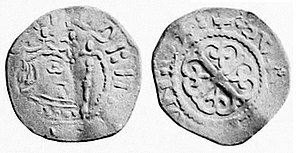 Around 1158, de Lacy became a Templar and went to the Holy Land, where he was one of the commanders against Nur ad-Din in the early 1160s. He died after 1163.